Working out is beneficial for our health, we all know this. Many people choose to join a gym so that they have access to the workout equipment they offer, which will help them achieve their fitness goals, others choose to create a home gym filled with gear they feel is essential. But do you really need workout equipment? Well, it depends on what you want to achieve with your workouts, but it’s important to be aware that there are many overly expensive and faddish workout pieces on the market that you really don’t need. Some of this equipment is well-known, like the Shake Weight, which is essentially a 2.5-pound dumbbell that shakes and is meant to help tone the muscles. Others, like sauna suits, are lesser-known. But the one thing all of this equipment has in common though, is how it’s completely unnecessary. is a piece of equipment you can do without. According to Men’s Journal, it’s basically a machine that helps you do situps and crunches (which you were probably already doing). There is no benefit to paying money for an expensive piece of equipment when you can do the same job without it. 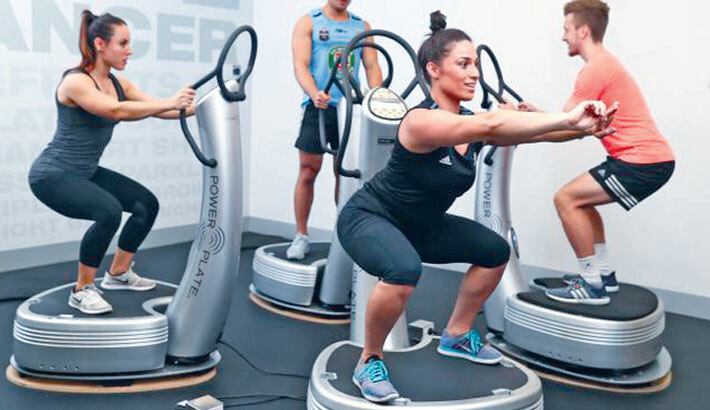 Power Plate also finds itself on this list because the vibrating platform is supposed to be used in conjunction with exercises like pushups and squats to cause involuntary muscle contractions more frequently. But Men’s Journal lists this equipment as one of the biggest fads of all time. Sound unappealing, and they should be, after all, who wants to wear a “suit” that makes them sweat, all in the name of losing weight? People may see some weight loss, but it is through water weight and these suits could possibly cause dehydration. Still, that hasn’t stopped many people from buying them. Another fad you don’t need to buy into is Vibration Belts, which promises an ab workout that strengthens muscles and breaks down fat. But according to Ab Belts, none of these belts have been FDA cleared or undergone clinical trials. Pineapple is rich in vitamin C, which makes it a good source of ascorbic acid. Vitamin C helps in reducing illnesses and boosting the immune system by stimulating the activity of the white blood cells in the body. This fruit is rich in both bromelain and vitamin C, therefore it helps in preventing and treating respiratory illnesses and reducing the phlegm and mucus build up in the respiratory tracts and sinus cavities.